Hummingbirds (birds of the family Trochilidae) are tiny creatures who are aptly named -- their wings beat so fast that they create an audible hum when they are flying. There are many species in the hummingbird family, but all are very small compared to other birds. 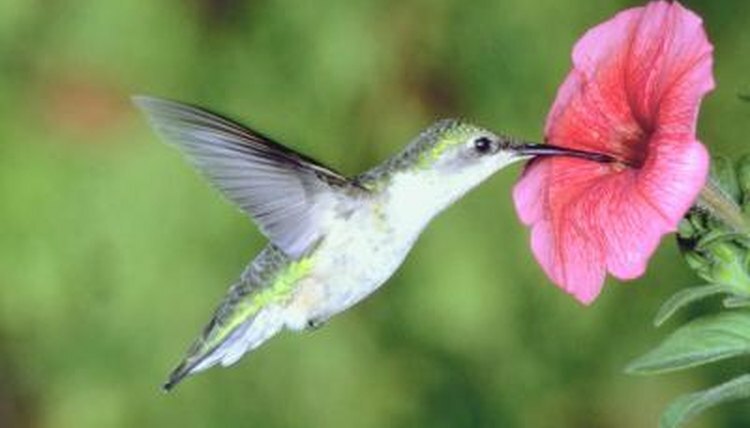 Unlike in most avian species, female hummingbirds are larger than the males. When full grown, hummingbirds are between 3 and 4 inches in length. Their wingspan is slightly larger than their body length, measuring between 4 and 4.5 inches. Hummingbirds weigh very little, even less than the change in your pocket! Varying slightly by species, hummingbirds only weigh an average of one tenth of an ounce. Males range from 2.4 to 3.6g and females are a bit heavier at 2.8-4.5g.